Nevrencia, Romania was a winter wonderland this morning. Everything was covered in snow. Even though the village is one of the poorest in the area, the snow made it seem almost peaceful. Unfortunately, the sub-zero temperatures make it difficult for many to survive since heat is hard to obtain. Lifestyle here is very different from what I am accustomed to at home in the states. Most people in the village have no transportation, so walking is the way to get around and on days like today, that is miserable. The primary economy is agriculture but that is a harder life here than it is even at home. 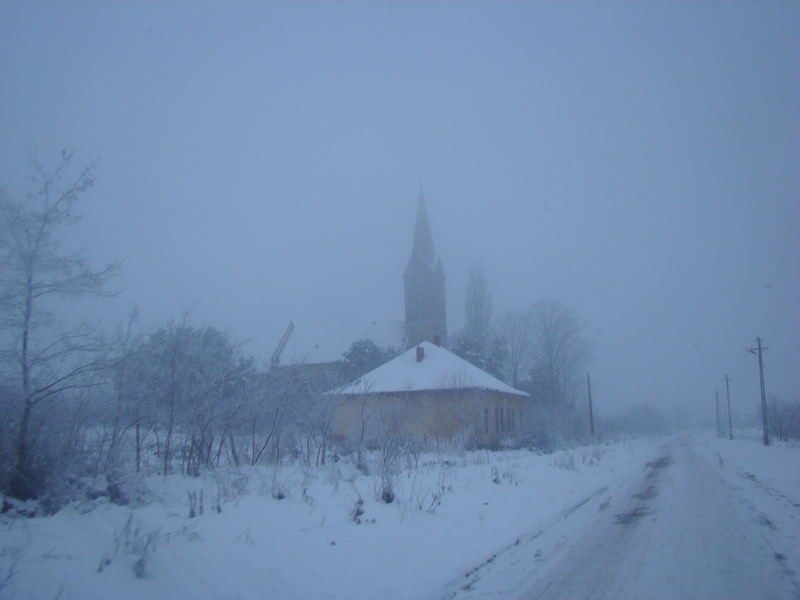 To make matters worse, the area pastor continues to run into challenges each time he tries to work in the community because the local orthodox church is not very cooperative – making it difficult for Ovidiu to make any progress toward making an impact in the village. But the need for the hope that only Jesus can bring is certainly there. After visiting the village, our team along with 32 local students, headed out for a 6 hour drive to Sinaia, Romania. After arriving here and settling in, we sat down for a wonderful meal and then met briefly as a group for a time of teaching and prayer. Tomorrow, we begin the real event. Several of the students speak English but not all of them. Unfortunately, none of our team speaks Romanian. So we will have to do everything through interpreters. But I am excited to see what God will do in the lives of the students. Please pray for God to move in miraculous ways in the lives of the students and our team members as well. I would also ask for prayer for health – several of us are not feeling all that well. God is amazing – follow along each day this week to see what happens! The journey has begun. Kristi drove me to the airport about 17 hours ago. And now, I am at Starbucks in the Frankfurt, Germany airport. In about 2 hours, we board a plane for Budapest, Hungary. 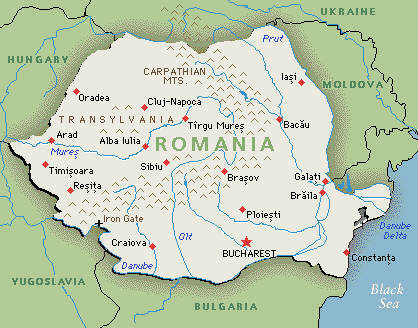 Once there, we have a 7 hour van ride to Susani, Romania. Unfortunately, I can’t sleep on a plane or in a van – unlike the gentleman who had me blocked in on the plane – he had no trouble sleeping for 7 hours straight. Did I mention I was trapped? Actually, it was a great flight. And as I write this, the sun is coming up in Germany. Isn’t it an amazing world in which we live! In just 9 hours, we can fly half way around the world! I am really excited about what God is going to do through this wonderful group this week. Here is how you can pray today – pray that even though we will all be dealing with fatigue, that we will be God’s light to everyone we meet. Also, pray that through the availability of eight people, the students from the Susani area will be impacted by God’s work. I will update you more when I can. Tomorrow is the big day. Nearly 24 hours of straight travel. Destination? Susani, Romania! I have the opportunity to go with a group from Abilene to help out with a youth event in Romania – I’ve never preached through an interpreter so I am excited to see how that works. We will be visiting a couple of different villages along the way to look at the potential for future trips and then we’ll settle down for three days with students. I will be doing my best to write each day and keep you updated as well as give you an idea of how to pray for us. I have never been to this country before so I am not sure what to expect, but I am told it is not hard to find internet access. So pray for us. Pray for safe travels. 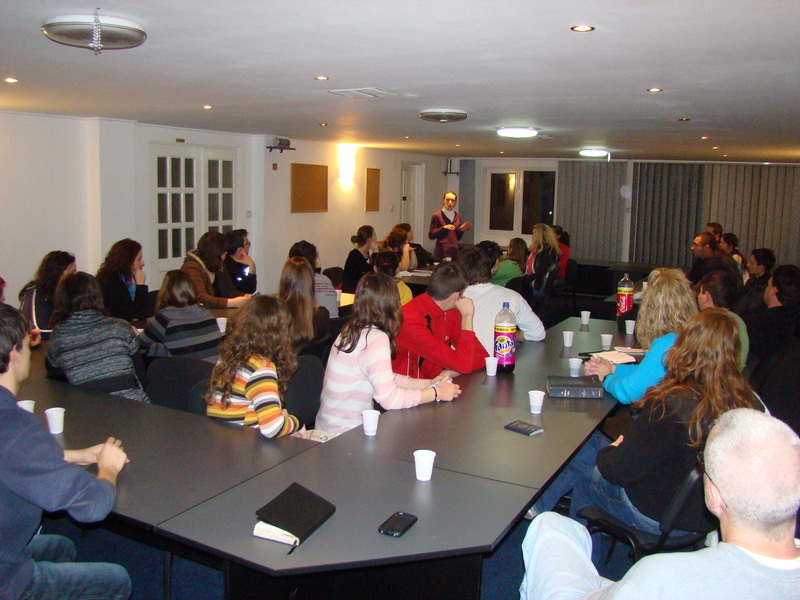 Pray for receptive hearts and teachable minds among the students and those leading. But most of all, pray that God will use our efforts to impact each and every person with whom we come in contact with love and compassion. I am ready! Oh, wait, I still need to pack – OK – almost ready! Last night was our first OnCampus worship service for this semester out at South Plains College. It was amazing! We had a good number there – lots of new faces. The band had a new look and sound and when I heard them, I knew immediately that we are in for a great semester. One of the songs they sang broke in. It melted away all the things that were on my mind and reminded me that I needed to stop and rest in God’s arms for a bit. Take some time to rest in God today – it is where you belong! Last night, if your TV was on in your home, most likely the images being broadcast into your living room were those of the State of the Union address. As I listened to the talk about where we are as a nation I began to think about the state of the union of the church. As a whole, where are the churches of America? Where do we stand in the area of life transformation? Are we as Christ followers closer to being who God wants us to be today than we were last year? How about in the area of caring for the poor and underprivileged? Are we, as the church, doing our part to care for our communities? What about in the area of simply showing the love of God to our neighbors? I believe the church in America is a long way from where we need to be. It is time that we stop going to church and we resolve to be the church God expects. I have mentioned before that I am reading through the Gospels with this specific question in mind: “What was important to Jesus?” I have made it all the way through Matthew 4. As I read of Jesus’ calling of the disciples, I am reminded of the fact that Jesus called common folk. Jesus didn’t approach community leaders and politicians. He did not approach the religious leaders of his day and ask them to follow him. He went to the working class and even to the undesirables – to fishermen, tax gatherers, terrorists. What do I take away from that fact? It tells me that what was important to Jesus was not the person’s standing in the community but the person’s character and willingness to follow. That is still the case today! I don’t know about you, but that brings great hope and challenge to me today. Jesus calls each of us, regardless of our position in society. The expectation of us is to use what we have been given to affect the greatest influence possible. Each of us has a sphere of influence – and each one is different. Jesus calls us to impact our sphere for him. That is what is important to him. Shouldn’t it be important to us as well? Heed that call today! Go make a difference for Jesus!